I can’t seem to stop making funny cards lately. They are just so darn cute and irresistible! Googly eyes cards, funny sentiment cards, wobble spring cards, you name it! 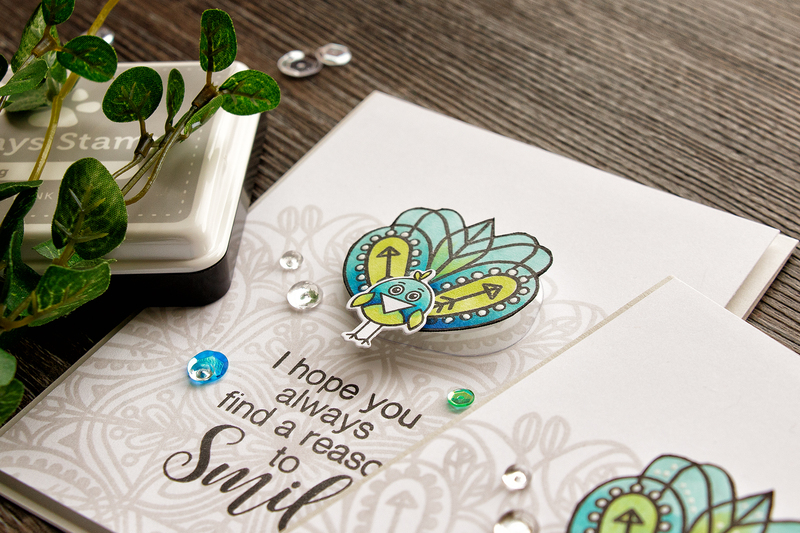 Here’s my latest funny project – a pretend peacock card with an addictive-to-use wobble spring. I love Simon’s latest mandala 6×6 cling background stamps. So unique, so bold, so different. They are great for classic and elegant projects, they would be fantastic for a set of wedding invitations or save the date cards, but I decided to use them in a slightly different way. As I was looking at these, a portion of Emma’s background reminded me of a peacock’s tail. I could instantly envision a beautiful teal-blue-green peacock standing on my card with its tail feathers graciously spread across the project. I grabbed a little birdy image from the Cuddly Critter Accessories stamp set and stamped him using Simon’s Intense Black ink. Using my Copic markers I colored both images using BG18, BG13, BG32, YG03, B29 and B05. I am listing my most favorite Copic Marker Color Combos here in case you are looking for some beginner suggestions. I cut both images out, bird – using a coordinating die and “tail” using scissors. I also stamped Emma design onto a 4 x 5 1/4″ white cardstock panel using Simon’s Fog ink and adhered my pretend peacock using wobble spring. You could simply foam mount the bird on top, but I went for an extra dose of humor here and used wobble spring instead. “I hope you always find a reason to smile” is the sentiment I picked for this project and I think it works out so well. I foam mounted my panel onto an A2 top folding card base made out of Fog cardstock and embellished the cards using Simon’s sequins and a few clear drops. Join us for a fun-filled blog hop! The next stop on this hop is Heather Hoffman. Or start over at Simon Says Stamp Blog. Comment below by end of day, Sunday, Jan 15th for your chance to win a $25 gift card to Simon Says Stamp. Winner’s name will be picked randomly and posted on SSS blog on Monday. So many great cards. Great to see the variety. I just love your wobbly “peacock” – so cute!! So love the look of these cards! Gonna have to try this! Another awesome release! Thanks for the chance to win! I absolutely love this card! So creative!! Sooo cute. I love how you took the background stamp and used an existing bird stamp to create something new. I love your cards. I am looking forward to seeing your next blog. Adorable peacock card! You’re so creative! The peacock card is so adorable! I love it! 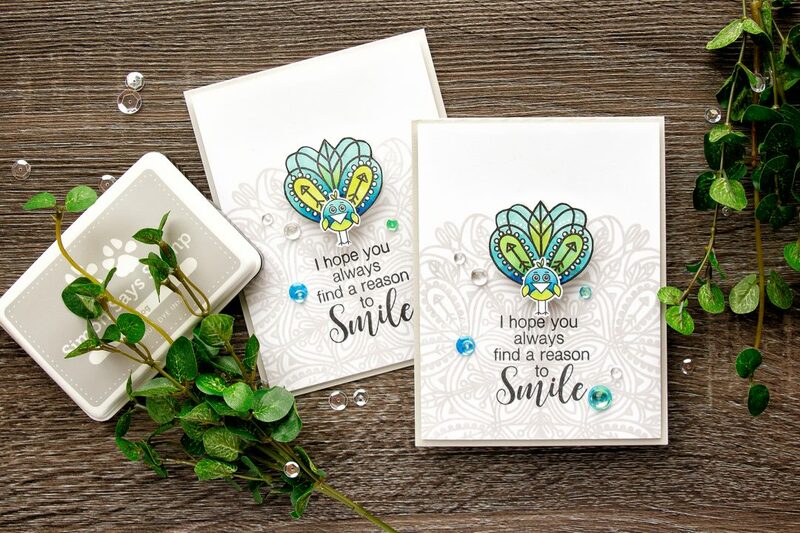 I love the colors in your gorgeous peacock card! Adorable! What a great card! Love how you created the peacock! 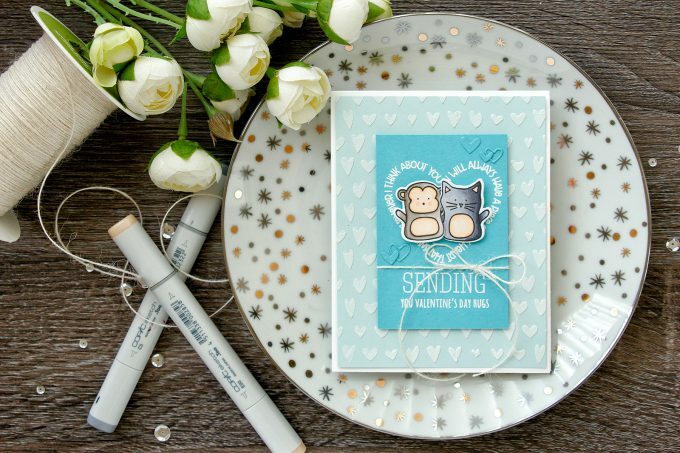 This card is adorable and it looks great with the new background stamp! I like making fun cards that will brighten someone’s day! I just love the colors on this card! Such a creative use of the larger stamp to make the peacock! Maybe someday I can be as creative as you! The peacock is adorable! Love all projects! What a fun card. 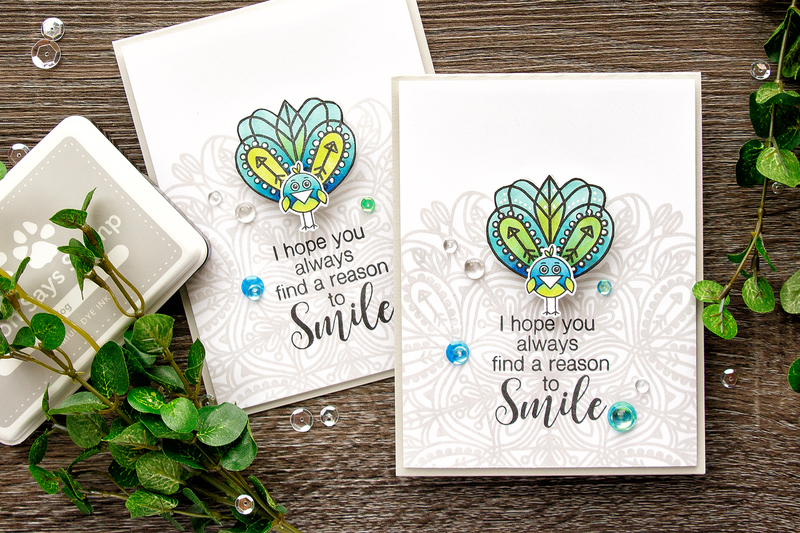 Way to use the background stamp in two ways – makes a perfect peacock tail. Thanks for sharing. Absolutely love your wanna be peacock! Just love your cards! They never disappoint!! Love seeing your creations – always great inspiration !!! Oh my gosh, a wanna be peacock! How cute is that? My sisters business is The Proud Peacock so she would love this card! I always try to make her a peacock card for her birthday or just because. I wish one of my peacocks would be big enough for her to hang up in her shed for her business at The Big E, the 5th largest fair in the country. It’s so cute how your peacock wiggles too! I love that! 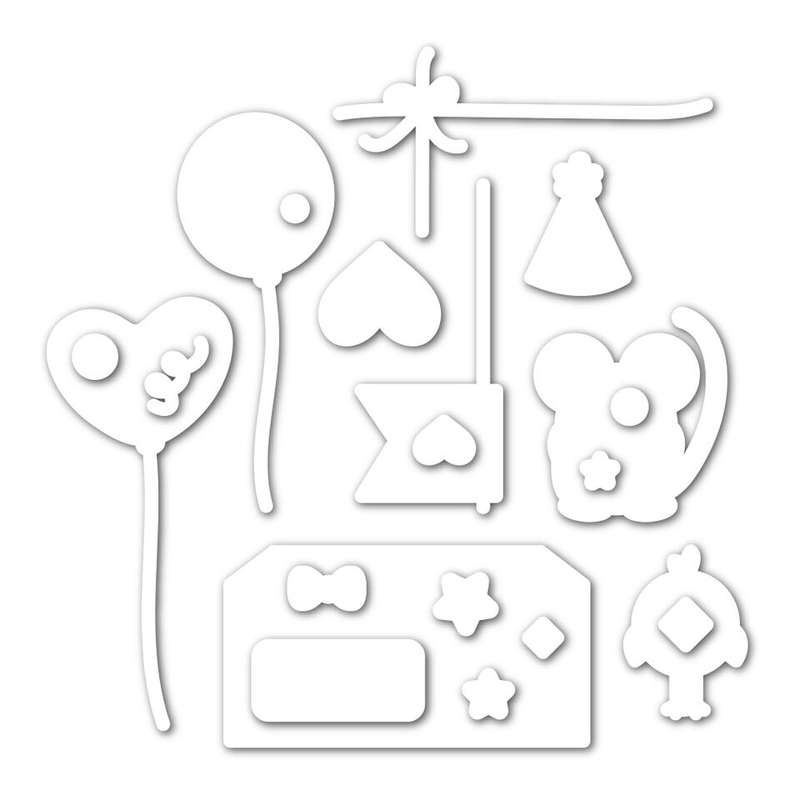 I don’t have a die cutter but if I could fussy cut something, I could use those wigglers and make my stuff move too. I have to check those out by looking at your video. Those LOVE cards are so pretty and when I win I think that’s the stamp I want to get. I hope I am able to win something because that would be so amazing! 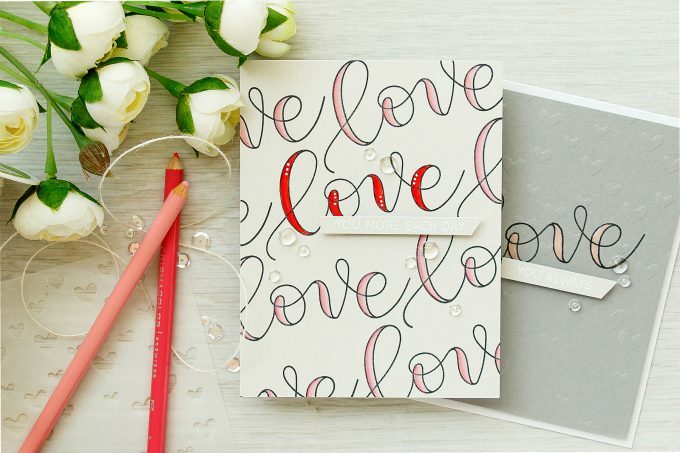 I love how you used the word LOVE over and over on one card. That’s a cute idea and I’m sure I have a stamp that says LOVE. If I don’t, I have alphabet stamps, lots of them. Last but not least, your last card with the animals is cute! You also used sequins which I happen to love using all the time. Some cards don’t need any, and some cards only need a few to just make them pop and finish the card. Thank you for letting us view all of your cards. Amazing and adorable! Thanks for the inspiration and for the opportunity to win! The peacock is so cute and clever! Beautiful cards!! That peacock card is cute! Adorable! Your cards are so clever! That Peacock card is the best! So very cute! You are amazing!! You nailed the “Think Outside the Box” with this card!! So clever, so fun, so cute!!!! 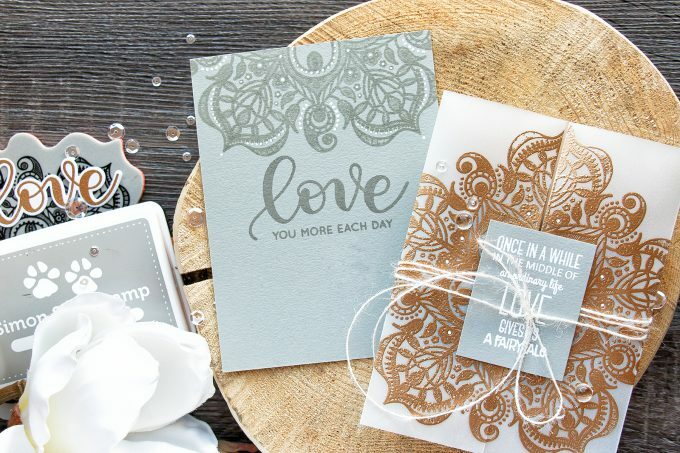 Your use of the background stamp is amazing! Thanks for sharing.